Switch, Access, Control . Pererro is an advanced switch input adapter that lets you use control switches to operate iOS devices. 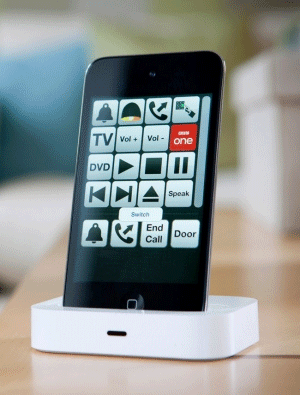 pererro is an advanced interface which brings the iPad, iPod touch, and iPhone to a much wider audience. By using a single switch, users are able to navigate the iOS and use the majority of the device such as Phone, Messages, E-mail, Web Browser, FaceTime, Social Media and a whole host of Apps that are available from the App Store, all without touching the screen. 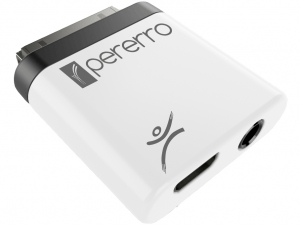 ZYGO-USA and RSLSteeper are delighted to announce pererro – the world’s leading device for switch access of iOS devices. Access your iPad, iPhone, or iPod Touch with a switch. Apple devices are the market leaders in mobile communication – we believe this technology should be available to everyone: Message, Call, or FaceTime your friends; share a web page across your social media apps; use environmental control apps such as evoassist, or simply relax and read an e-book. Using a single switch, and the embedded Voice Over capabilities in iOS, you are able to scan through items on the screen and make selections, including entering text. It really is that easy. 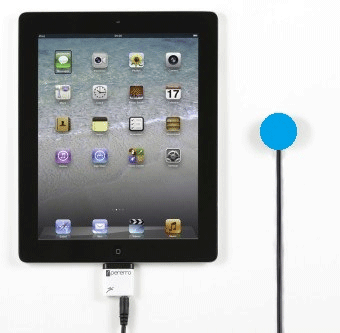 evoassist is an innovative App that turns an iPad, iPhone, or iPod Touch into a universal environmental control unit. With flexible, easy-to-use controls, via touch screen or input switches, it can be configured to your needs, whether physically disabled or able bodied. Working with the latest Apple technology, evoassist is designed to integrate seamlessly with a range of home automation systems. This innovative product provides users with independence and total control of their environment, using a mainstream device which does not identify the user as being disabled. Answer phones, open curtains, send alarms, unlock doors, and change TV channels. Easy-to-use touch screen or switch-scanning interface. New Icons that can be customized. Utilizes Wi-Fi, Radio, and Infrared. Remote switch for wireless operation. evoassist can be downloaded from the Apple Store.